There are a wide variety of machines available today all of which have their own characteristics of design, typical engine size, handling and style. Similarly, the riders of a given type of machine may be very diverse. 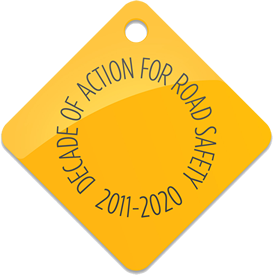 A motorcycle is a two-wheeled vehicle and, with the exception of mopeds, riders must be aged 17 or over. These vehicles cover a wide range of the performance spectrum of power-handling and braking. Sometimes called ‘retro’ machines they are typically used as practical transport, but with no fairing (or simply a small handlebar fairing) and have an upright riding position. Also known as “cruisers” or “choppers”, typically these are often long with a low saddle, have high handlebars and forward footrests. The emphasis is on appearance and style, displaying high levels of polished chrome. Also known as “dual-sport” bikes, these combine features needed to ride on or off road. Larger machines often share features with touring motorcycles (below), for example fairings and larger luggage compartments. These machines generally have large engines and are designed for relaxed, long­-distance riding. Typical features include a more comfortable seating position for rider and pillion, luggage capacity and weather protection via fairings with a fixed or adjustable windscreen. These machines may be designed to mimic racing motorcycles, with full fairings and low handlebars. Alternatively, they may have partial fairings and more practical rider and pillion seating, with medium­-rise handlebars for longer distance travel. They tend to have medium to large capacity engines. Representing about 25% of motorcycles on the road, scooters differ significantly from most other motorcycles because of their bodywork and ‘step ­through’ chassis design. Engines are usually small to medium capacity, integral to the rear suspension, and normally with automatic transmission. In law, mopeds are motorised two­-wheel vehicles with an engine capacity of less than 50cc and a maximum speed of 28mph. Riders must be aged 16 or over. 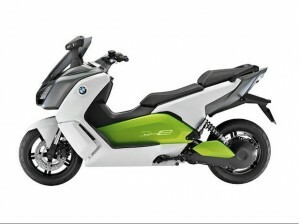 Electric motorcycles (sometimes called “e-bikes”) are powered two-wheelers with an on-board rechargeable electric battery. 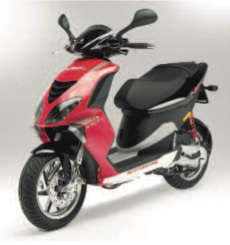 Current designs are akin to mopeds but rapid advances in design are seeing more scooter-like ‘step through’ chassis designs. Over the next 5-10 years it is likely that e-bike designs more closely resembling ‘conventional’ motorcycles will come to market enabling motorcycles to be even more environmentally-friendly. Do not confuse these with “electric bicycles” which are normal bicycles with an electric motor to be used to assist the rider’s pedal power. The key difference is that electric bicycles retain the ability to be pedalled by the rider.